To brighten up your kitchen, fix this Magnetic Calendar to your fridge door or any other metal surface. The Magnetic Calendar is an original gift idea which will please children and adults alike! This Calendar is printed on flexible magnetised material. 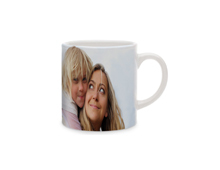 You can personalise the top part with one or more photos of your choice. The bottom part contains the Calendar grid which you can start with any month you choose. You can therefore create a very practical school Calendar for your children. - Bottom part containing the Calendar grid which you can start with any month and year you choose. - Possibility to change the colours of the month, days of the week, and weekend.